If anyone ever needed a change of scenery, man was it Phil Hughes. 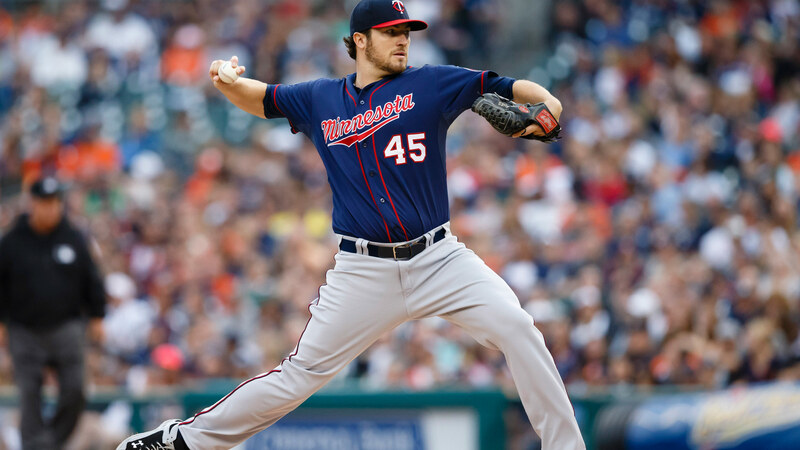 He’s been a revelation for the Twins in 2014, and it looks as though the 3-year, 24 million dollar deal they gave him in the winter may not end up being so bad after all. Notorious for serving up the long ball, Hughes has settled right into his new surroundings and has, in fact, thrived. After allowing a whopping 59 dingers over his last two seasons in the Bronx, Hughes has given up just 11 this season. The former 1st round pick has historically been a hurler that generates a lot of fly balls. Yankee Stadium is not kind to those types of pitchers, especially when facing left-handed batters. But is the change of scenery the biggest factor in his success this season? In short, no. The dimensions of Target Field depress power, but given that Hughes home ERA is an atrocious 5.17, it does not appear to be the game changer. Hughes has been brilliant in road games, recording a 2.78 ERA in 81 innings. Is Hughes finally evolving as a pitcher? Given his pedigree it shouldn’t be all that much of a shock. Remember way back in 2006 when Baseball America had Hughes ranked as the MLB’s 4th best prospect? It’s also not like the right-hander is old, he just turned 28. Late bloomer? Hughes currently checks in as the #39 overall starting pitcher, according to ESPN’s Player Rater. Although there have been some bumps in the road this season, his overall body of work has been solid. But what is the driving force behind this success? Variance? Actually, no. His BABIP (.344) is inflated and should see some regression to the mean. Now that we know it’s not just the new home ballpark, what is it? Hughes is basically a two-pitch pitcher, although he does mix in a curveball on occasion. The deuce obviously acts as his change-of-speed offering. He of course throws a fastball (he’s got two-seam and four-seam flavors). And for the first time since 2011, he is throwing a noticeable percentage of cutters. Hughes has scrapped his slider (23.8% in 2013) for it, and seems to be the difference. The cutter has been a key component to his turnaround. Hughes is fanning batters at the highest rate of his career (21.6%) since becoming a full-time starter. Even more impressive is the impeccable command with which Hughes has thrown the baseball in 2014. He’s posted an absolutely ridiculous 2.4% walk rate (he has just 15 walks all year). Yep, that means he is walking less than one batter per nine innings. That would be better than Clayton Kershaw, Felix Hernandez and Johnny Cueto. Not bad, eh? Of equal importance has been Hughes’ ability to induce ground balls, something that he has never been able to do with much consistency. If his current rate (37%) holds, it would mark a career high. Hughes is no longer solely relying on his outfielders to make putouts, he’s using his cutter to force hitters to hit the ball into the ground. With that, his fly ball rate is all the way down to 39.1%. Yes, you guessed it: that would also be a career best. Hughes sure looks like a top-40 arm moving forward. Although given his splits he’s more of a road-only start (as strange as that may sound). He’s owned in too few leagues (Y! 45% and ESPN 31.2%) as well. We aren’t looking for Hughes to morph into the fantasy stud he was once supposed to be, but if I showed you his 2014 line so far through mid August: 14QS, 12W, 3.88 ERA, 1.22 WHIP, 134:15 K:BB would it really matter whether his name were Phil Hughes? You’d want him on your roster.